A little weekend review for those that need Last MINUTE gifts!!! Good Morning!!!!! One week to the day!!!! !Can you believe it!!!!!!! ok — calm down like I said we are never really ready but it all works out because it is a time that we spend with loved ones and those that know us best! Today I am doing a little wrap-up of projects that would make perfect last minute gifts! The perfect little something to bring a smile and a WOW! Blog land is FILLED with them… I can’t bring them all to you…but you will find a few below that you just might want to take out of your bag of tricks! 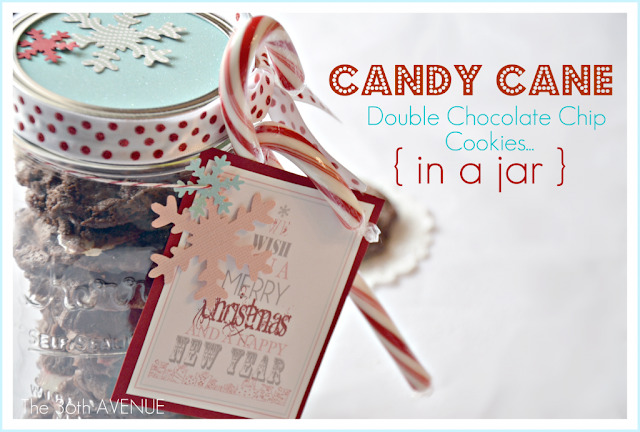 I also have some cute ideas for little gifts in my last 2 weeks of blogging…so check out some back posts! 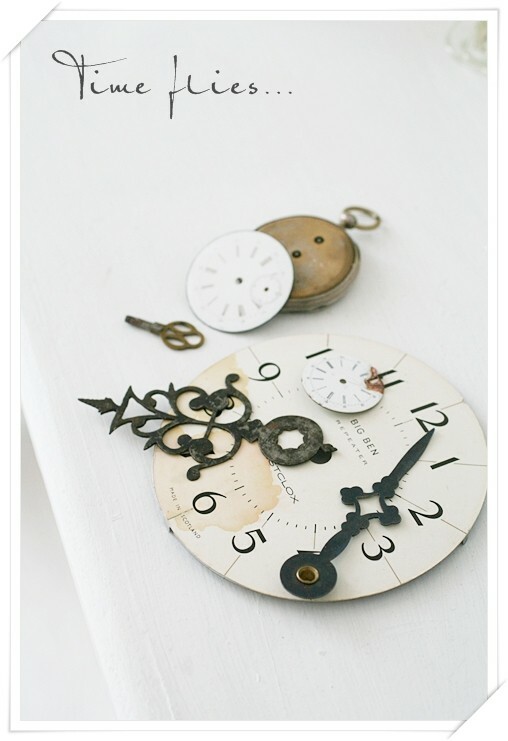 Well my friend Jessica at Two Shades of Pink has a fabulous gorgeous project for you! 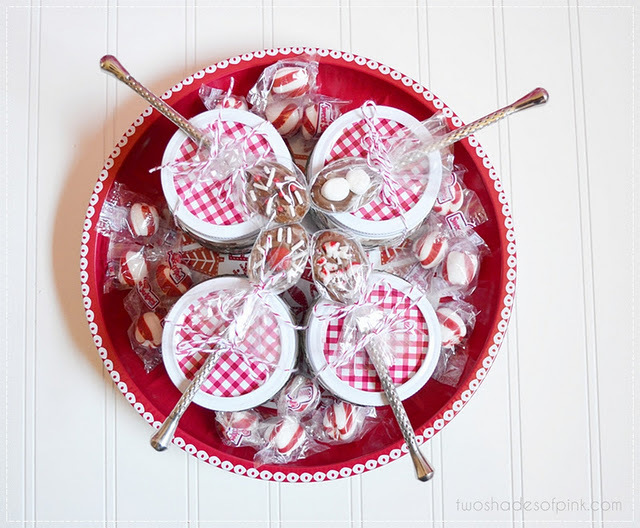 All the makings of Peppermint Hot Chocolate in a festive container and even the most adorable chocolate covered spoons for stirring…PERFECT for anyone on that list! She has tons of other fabulous creations…check them out! creating a perfect gift for anyone…Candy Cane Double Chocolate Chip Cookies in a Jar…How cute is this and you can get the whole HOW to on her blog! Awesome and Yummy! 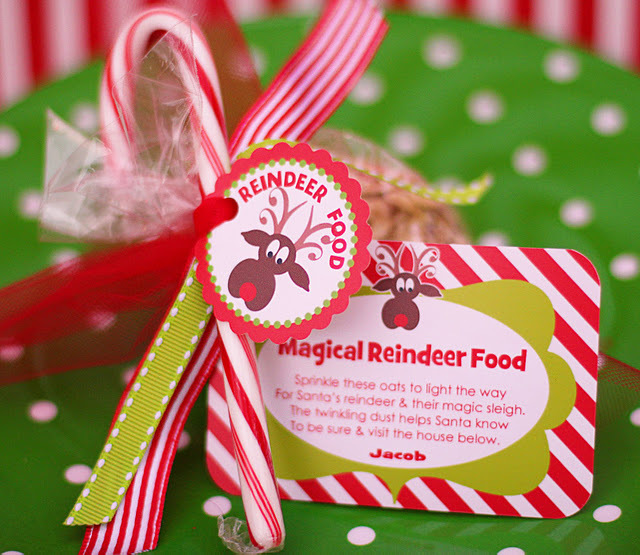 Hop on over for the DIY and free digital image downloads so you can make the project TODAY!!!! Now here are a few ideas that I have used this year…believe me there are plenty more just like them and they all share your heart and give to those in need. It’s amazing what $1 can do! these little cuties are snugged on the couch at the moment but there was a time when they were being severely abused…every little bit of kindness lends a helping paw…these are our Pops and Basil! You can lend a paw to all of those doggies and kitties and other little babies out there by donating to any animal charity including your local animal shelter…every bit helps and yes $1 goes a long way! 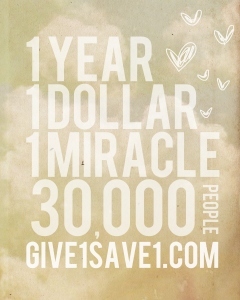 $1 goes a very LOOOOONG way…it truly makes a difference! St. Jude Children’s Research Hospital is a place that opens it doors to ANY child and that is something that is totally amazing…any donation large or small lends a helping hand to a child and family battling this most horrific time of their lives. There are so many incredible charities out there… It is impossible to donate to them all but just remember…every little bit helps. There is one out there that will touch your heart…they make such a difference in so many lives! Give the gift of giving…there is nothing like it! When people say $1 doesn’t buy anything any more…they are wrong! See you tomorrow my friends!!! I think something yummy is on the menu! Pops and Basil are adorable and I cannot believe people would be so cruel but they are. We have a family of pets … a couple unwanted but they have a loving home here and TONS of gifts this Christmas. Hope you get donations over there in USA. I donate to UK animal shelters monthly and at Christmas as every bit helps. Love the decorated jars. Might try something for our bath bombs! Circles on Kisses! Who would have thought! Gotta find somebody to give some dressed-up Kisses!! I followed Amanda’s link and from there, another link, and found the cutest Easter peeps paper dolls for my granddaughter’s Easter basket! Thanks for your sweet comment on my blog, and for following! Most happy to follow you back! Love all of your ideas~ double choc. cookies are cute! Thank you for sharing this season of joy and pink!HPS! These are all great ideas, Andrea! thank you! Pops and Basil are adorable!! Love the last minute gift ideas. 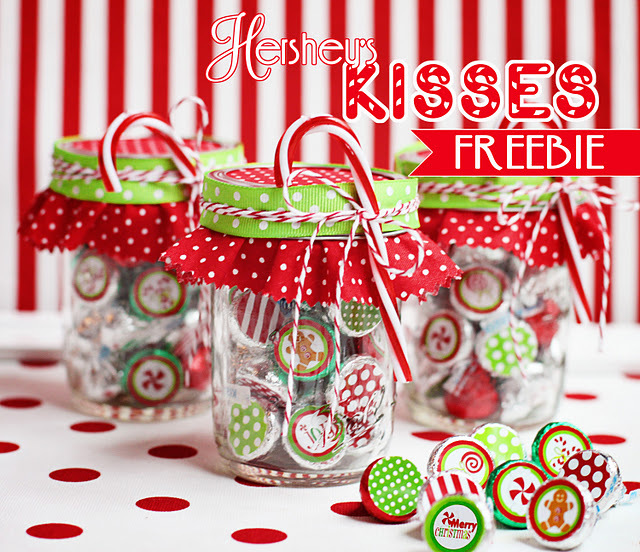 And really who wouldn’t love some cute hershey kisses! Sent from the SCC…love your blog! Pops and Basil are precious! As always, you are full of amazing ideas and resources. I love all of them, even if all I get to do is dream of having enough time in my life to get to them! And thanks for the ideas for ways to reach out this season! i was looking at the shabby creek cottage website. they are giving away one of your cake plates. it is beautiful! 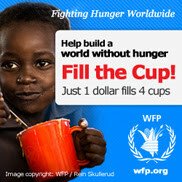 I love the Red Cup idea! Now that my kids are a bit older, I want them to give gifts like this, so I’ll start the trend by giving them the money and instructions for the first gift. Came over via the Shabby Creek Cottage. Great Ideas and those pups are precious!